Barenboim & Berlin Philharmonic In Iran? 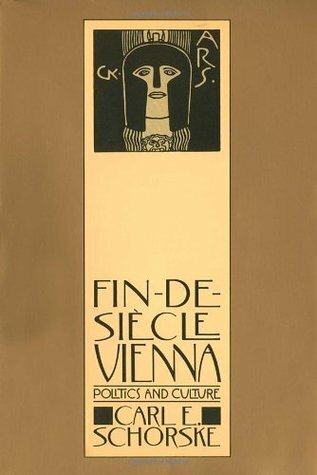 From: Carl E. Schorske: Fin-De-Siecle Vienna: Politics and Culture. The nineteenth century saw itself generally as “a century of movement,” in which “the forces of movement” challenged “the forces of order.” Such was the case in music, too. Hence it was the century of the expansion of dissonance—the medium of tonal movement—and the erosion of the fixed key, the center of tonal order. In music as elsewhere, time moved in on eternity, dynamics on statics, democracy on hierarchy, feeling on reason. 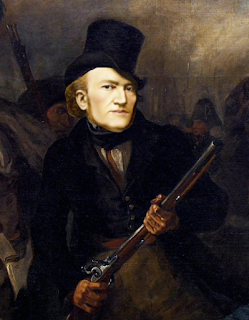 Richard Wagner, who was both a political and a sexual revolutionary, became Public Enemy Number One of traditional tonality, of key. In his Tristan und Isolde, Eros returns in surging rhythms and chromatics to assert its claims against the established political and moral order of the state expressed in rigid meter and diatonic harmony. Chromatic tones—half-tones—are all of a single value, and constitute an egalitarian universe of sound. To one accustomed to the hierarchical order of tonality, such democracy is disturbing. It is the language of flux, of dissolution. Of liberty or death, depending on your point of view. Of possible interest to those with an interest in Wagner. While it doesn't seem to discuss Wagner himself it certainly seems to examine some who he knew, who knew him or simply had much to say about him. A two part course. It will require registration but we assure you we have tried the process and it is quick, painless and without spam. You can chose to pay a small fee if you wish. This seems to then provide a certificate. 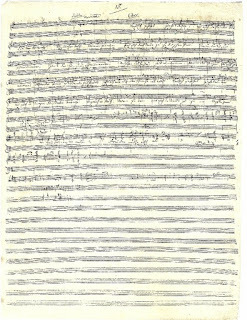 Some readers may have noticed a headline circulating about a "missing" Wagner Mss available to buy for only $3.5 million. No? Well, to bring you upto date, a company in the US, Moments In Time, is selling a piece of sheet music, in Wagner's hand, of Treulich geführt from Lohengrin (Or "Wagner's wedding march" as they are calling it), It was given as a gift by Siegfried Wagner a number of years ago, appeared at an auction in Sotheby's in the 1980s until its recent reappearance. Of course, should you have a spare $3.5 million lying around, "burning a hole in your pocket", you could do something far more constructive with it then to buy a few pieces of interesting but ultimately moldy old paper. 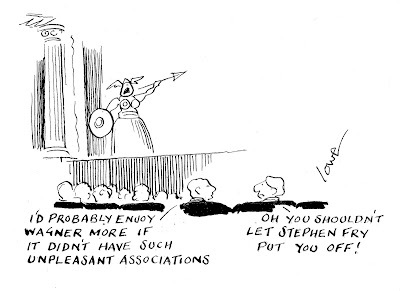 For example, what about sponsoring a Wagner production at one of our bravely struggling small opera companies, with a strong Wagner connection? Take For example Fulham Opera or Birmingham Opera Company in the UK as just two examples? A Phd Dissertation written in 2012, But don't let that put you off, it's actually well written. As to the argument? Well, we will leave that up to you. We have been reading, sometimes heated, discussion about Wagner, Schopenhauer and Feuerbach for far to long to get involved in that discussion. Author's description below. Click the link at the bottom to download the entire paper in PDF format. J. Peter Schwalm (born 1970, Frankfurt am Main) is a German composer and music producer, active in the fields of electronic music, ambient, radio drama, film, theatre and ballet. He is best known for his work with musician Brian Eno. He lives and works in Frankfurt. As godfather of the cross-genre work of art, Wagner revolutionized the direction of theatre and operas into a modern multimedia experience. If Wagner were around today, how would he use the technical possibilities of modern studio technology and to what extent would he — once again — break away from conventions? In this new project, Wagner’s music is not retold but newly told, transporting his feeling for melody and dynamics into the modern age. We admit this has taken some time. Indeed, it is now nearly two years since we asked you to vote in the first semi finals - where we reduced the number of entries down from 18 to 8 in some categories. Why so long? We won't bore you with the technical difficulties, identifying and removing those voters who followed the maxim, "vote early and vote often (you know who you are) and other problems. All you really need to know its here and we have learnt how to simplify things in future years - we hope. And of course we apologise for the long wait, while at the same time thanking everyone of the very many of you that took part and voted. Honestly. Thank you. Of course, a question remains, are the results still valid - nearly a year later? Looking at the results and the existent world of Wagner we think so. Yes certainly there have been some changes, but we would have to wonder if things have changed that greatly? Probably not. 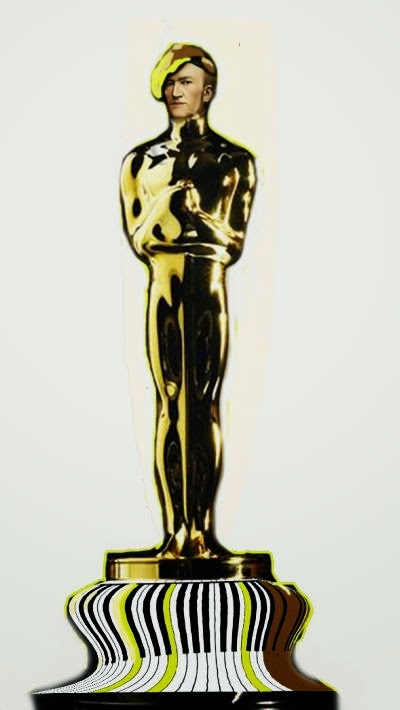 We shall see next year for the next awards. 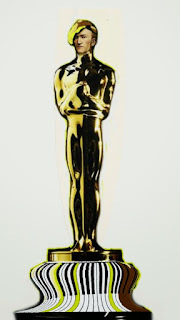 Finally, very well done to all those that won.An award that has been decided by people with an extensive knowledge of Wagner - and the odd obsession - is a very difficult to one to achieve. We spent a surprising amount of time trying to think what we could do for 2013. It seemed that every idea that came to us had already been developed or done in a similar way. 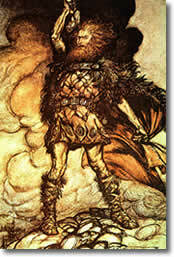 But then by chance, we went back to the origins of the Wagnerian. 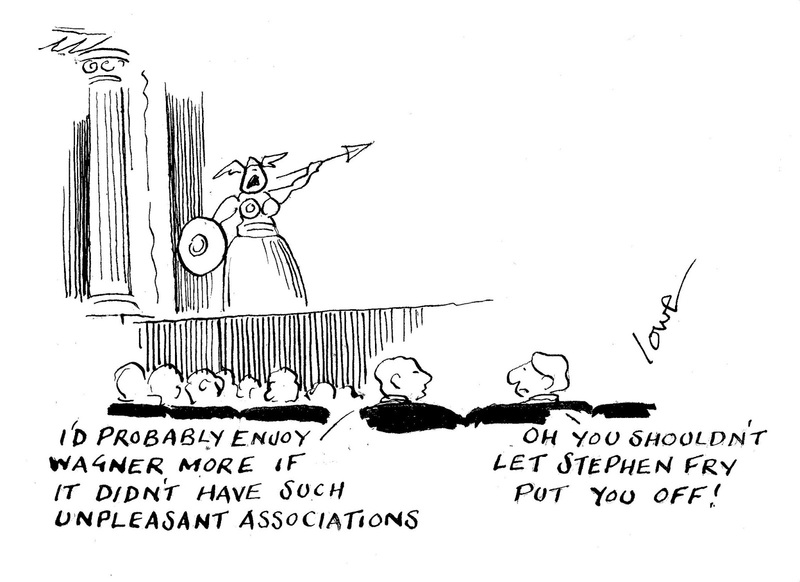 How, we thought, would we have produced something like this during Wagner's first centenary? Without electronic media it seemed impossible. But then, an idea came to us. A very, very basic way of reproducing some of the media here could, at a stretch, be done with a very old fashioned scrapbook. And so The Wagnerian Scrapbook: The First 100 Years came into being. 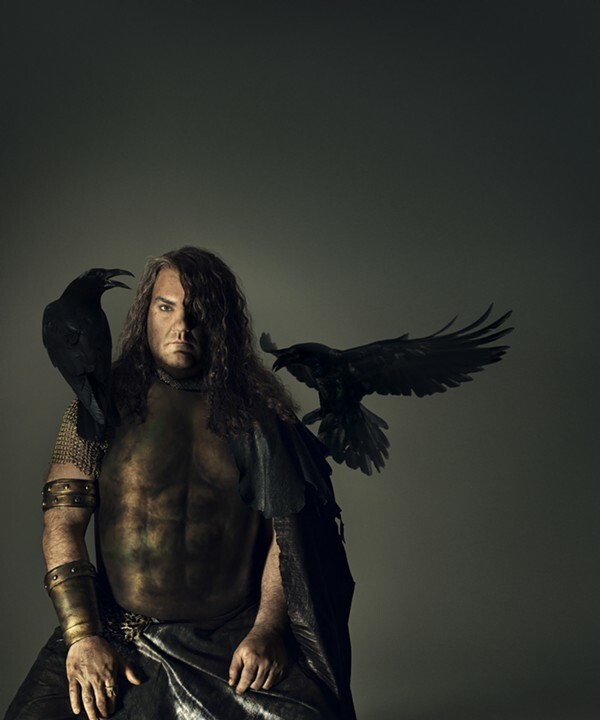 Out of the ashes came a very different Wagner & a very different history? When I first started writing on the Wagner controversy several years ago, I started out as a kind of amateur lawyer acting on his behalf. Part of this was driven by the fact that in retrospect I was rather naive about the sheer complexity of the subject. Things only gained clarity when I started to read major authoritative accounts of the history of the Dritte Reich and the origins of the Final Solution. At that point I literally stopped reading about Wagner, and started to devour just about anything I could get hold of on the subject of the history and origins of the Dritte Reich and Holocaust. I also found myself reading huge volumes devoted to the study of the 1848 pro-democracy revolution as well as the German 1918 revolution. I found myself studying Richard J. Evans's Rereading German History over and over again. At a certain point I realised that people who blame Wagner for the historical disasters of WWII and the Holocaust have not even the slightest of interest in Wagner or opera. What is happening is that they are advocating a certain interpretation of history for political purposes. What is really being discussed is history, not opera. The controversy really is about the crude politicisation in the public sphere of a particular debate around the origin of the Holocaust. Was the Holocaust Planned and Premeditated? Please read it several times over, and study it carefully. It should be noted that Elliott Dlin was the former director of the Dallas Holocaust Museum. The website it is posted on is hardly a neo-Nazi website trying to defend Wagner's radicalisation of opera into a medium for turning "Jew hatred into an aesthetic experience", but The Jewish Agency for Israel. You can find other material that covers similar ground about the intentionalist vs structural-functionalist debate on the Yad Vashem Holocaust Center, such as in this interview with Hans Mommsen. The reason I am continuing to write about the subject of Wagner is simply that in the course of researching my posts on Köhler, I did a huge amount of background research on history. While I put condensed snippets of what I learned into my posts, I realise that I probably need to do a bit more explaining so that non-historians can better understand the all crucial historiographic issues at stake. The most important thing is that once you learn to understand the origins of the Final Solution as the mainstream of academic historians understand it, you find that the notion that the National Socialist regime came to power with a fully formed premeditated plan to commit genocide engendered by an inherently warmongering and genocidal anti-Semitic psychopathology deeply inherent to the German character, with Wagner as the archetypal case in point, simply fails to hold. Once this concept is grasped, any notion of the existence of a premeditated intentionalist grand Masterplan to "transform the world into a Wagnerian drama" that the young Adolf decided to devote his life to realising when he was just a schoolboy starts to look rather ridiculous. The intentionalist school is made up of those who are convinced that the Nazis/Hitler "intended" to kill the Jews at some relatively early point in time (here historians may differ as to exactly when that point was reached) and that he proceeded along the road to Auschwitz in a carefully planned and premeditated fashion. The further back the time the point at which the premeditated plan for genocide is posited as having been hatched, the more extreme the intentionalism. When this plan for genocide predates Hitler, who is claimed to have reached the point of genocidal operatic anti-Semitism as a schoolboy, then we are dealing with a form of radical intentionalism far too extreme for any genuine scholar to take seriously. Dlin quotes Gerald Fleming in summarising the core assumption inherent to the intentionalist argument which makes claims about an "unbroken continuity of specific utterances...a straight path...a single, unbroken, and fatal continuum...to the liquidation orders that Hitler personally issued during the war". All Köhler does is elaborate on this by extending this "straight path...a single unbroken, and fatal continuum" from Hitler back to Wagner. While professional historians, even those on the moderate intentionalist camp, struggle to find a clear straight path going from Mein Kampf to Auschwitz, non-historians set themselves up as experts claiming to have discovered clear "straight paths" going from Judaism in Music (1850) through to Mein Kampf (1925) and Auschwitz. 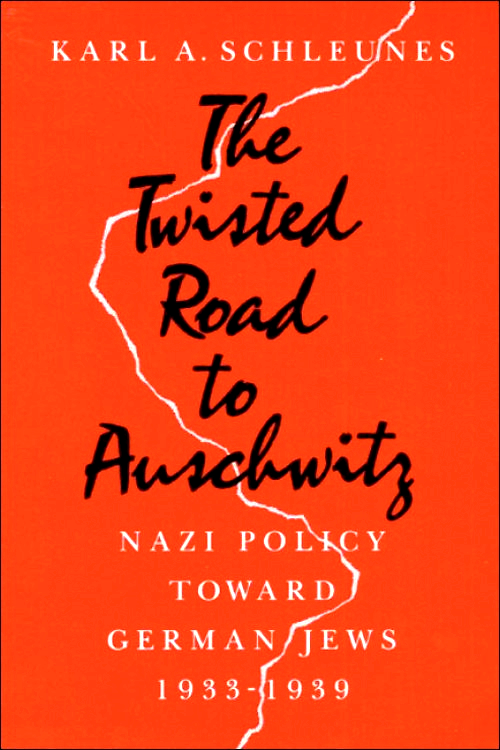 The main counterargument that blurs such extremely simplistic clean lines of a straight path of history that runs from A to B, is the structural-functionalist camp arguments that presents a far more complex picture of a "twisted road to Auschwitz". what they assumed would be approved action, thus inadvertently engendering a "cumulative radicalisation". This camp, referred to as either the functionalist or structuralist camp, consists of highly reputable academic scholars, some of whom were themselves Holocaust survivors. Let nobody attempt to dismiss scholars such as Hans Mommsen, Goetz Aly, Christopher Browning, or Raul Hilberg as being neo-Nazis for their failure to press arguments conducive to the demonisation of all Germans before Hitler as proto-Nazis, because nothing could be further from the truth. This camp has left an indelible mark on Holocaust studies, and even those who were formerly on the intentionalist side such as Yehuda Bauer now advocate for a more moderate synthetic approach between the two camps. The structural-functionalist methodological approach is also a much more academic approach to the study of history. It puts the blame for the rise of the Dritte Reich on the catastrophes of WWI, followed by the crippling reparation payments imposed upon Germany by the treaty of Versailles, setting the stage for Weimar democracy to be undermined to the point that it was soon put onto life support following the body blow of hyperinflation before the Great Depression delivered its coup de grace. The Holocaust is seen more in terms of the ad hoc system of decision making in the power structures of the Dritte Reich, a messy polycratic jungle, which left the system utterly bereft of humanitarian decision making during a war of attrition even more catastrophic than the first world war. The idea first found in Allied war propaganda that Germans were always Nazis, and that German culture could be characterised by a uniquely psychopathic Nazi mentality since the time of Martin Luther has long ago been left behind by mainstream historians. The reason is that this way of thinking represents "cultural historicism" which claims that culture and psychology exclusively drives events in history. History is seen as being driven by the genius of the Great Man, such as poets, philosophers and opera composers. In the driving seat of German history is placed various Great Men steering German history to the crematoria of Auschwitz. The choice of the Great Man who conditioned the German mind to brainwash them all into becoming "Hitler's Willing Executioners" is always dictated by the political prejudice of the writer. Hinlicky is right to say that these furious debates ultimately tell us nothing about history, but inform us only about "contemporary culture wars", wars waged along political battle lines. As Israeli historian Na'ama Sheffi says, Wagner is merely being manipulated as a pawn in the battle of these contemporary culture wars. For some on the right, Wagner's admiration for the proto-Marxist thinker, Feuerbach, has been reason to insinuate that National Socialism was a post-Marxist left wing revolutionary movement, the ultimate evolution of radical left wing thought. 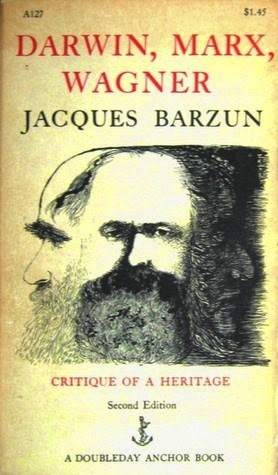 On the cover of Barzun's book, Richard Wagner's face merges into the heads of Darwin and Marx, as though to suggest they are different faces of the same proto-fascist ideology. For the reactionary Christian right (usually American anti-abortion creationists and intelligent design proponents) the Great Man who invented Kraut think was Charles Darwin, and his German advocate, Ernst Haeckel. Right wing American Christian universities often publish this literature arguing Nazism was the ultimate expression of a Godless Social Darwinism. 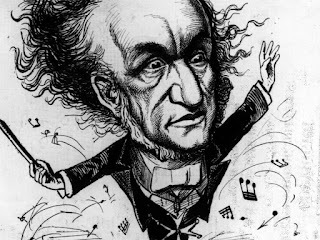 The crowd devoted exclusively to discrediting evolution mostly seem to have forgotten the idea that World War II and the Holocaust were really caused by a nineteenth century opera composer. However, there have been those who have blamed Martin Luther, and singled him out as the Great Man who steered Germany to Auschwitz. The best example here is William Shirer in The Rise and Fall of the Third Reich, a liberal who turned to writing this populist book after losing his job during the McCarthy era. Since his time, the number of left-wing polemicists to point the finger of blame at Luther have been few and far between, because this type of "cultural historicism" is more of a right-wing ideological tradition, one which finds that demonising an iconic religious figure like Luther is simply inconvenient. The left generally tends to feel contented to accept that socio-economic structural conditions and socio-political power tensions engendered WWII, while functional conditions of the political power structures within the Dritte Reich at war colluded to precipitate the Shoah. From this standpoint, the left feels no need to "discover" in the figure of Martin Luther the "real" Great Man who steered Germany down the road to Auschwitz. In this new mini series of shorter explanatory posts about the main post on this blog critically analysing Joachim Köhler's book Wagner's Hitler—the Prophet and his Disciple, the major emphasis has been a plea for anyone who wants to grapple with the Wagner controversy to first come to grips with mainstream academic historiographic research on the origins of the Holocaust. Modern researchers in this field universally fail to even bother mentioning Wagner (or Luther) as being even remotely relevant to the origins of the Final Solution. Once you understand history properly, the Wagner controversy melts away into a rather irrelevant non-issue. In summary, it is immeasurably more important to defend history than to defend Wagner, because history is the truly important thing at stake in Wagner controversies. 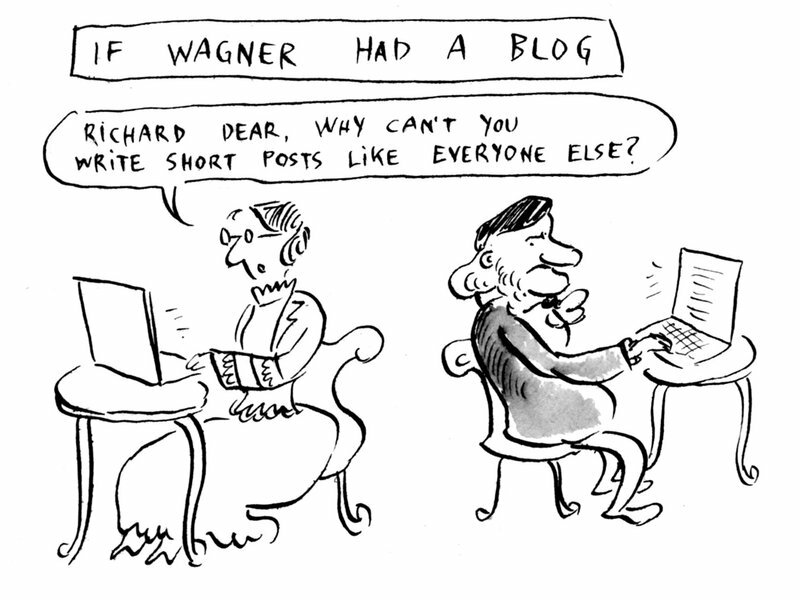 Once you have successfully done that, Wagner merely defends himself. All of the "gross exaggeration and distortion" accompanying the controversy around Wagner increasingly starts to look like a ridiculously overblown storm in a tea cup. 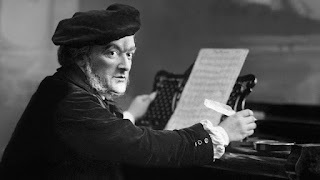 Put simply, Wagner controversies have got nothing to do with Wagner at all. The Berlin anti-Semitic unrest of 1879-81 is mentioned in Know Thyself published in February of 1881, where Wagner dismisses it as "dunkel und Wahnvoll"—"sinister and steeped in delusion". Wagner also obliquely mentions an anti-Semitic pastor referred to only as "unsere Herren Geistlichen ... in ihrer Agitation gegen die Juden" (our dear clergymen in the agitation against the Jews). He was referring to pastor Adolf Stöcker who founded a party called the Christian-Social Workers Party, later renamed the Christian Social Party (see p. 259 of Stefanie Hein's Richard Wagners Kunstprogramm im nationalkuturellen Kontext). A second sermon from Pastor Stoecker brought R[ichard] to exclaim: Alas! Not just the Jews, but every creature seeks to further their own interest. It is us, we of the state, who condone such things. So too the stock exchange, in the beginning a free, decent institute—what have we permitted to become of that? And he spoke of the current debts that the states gets into and how that once again only drives the evil speculative spirits! Eine zweite Rede vom Pfarrer Stoecker bringt R. darauf, aufzurufen: Ach! Nicht die Juden sind es, ein jedes Wesen sucht sein Interesse zu fördern, wir sind es: wir der Staat, die wir solches gestatten. So auch die Börse, anfänglich eine freie gute Institution, was haben wir daraus werden lassen. Und er erzählt von der jetzigen Anleihe, welche der Staat macht und die wiederum nur ein Vorschub diesem bösen spekulativen Geiste leistet! Last week, we noted protests from seeming racists in Israel - notably Miri Regev, Israel’s culture minister, who once called Black Africans a cancer in our body,” - to Barenboim conducting in Iran. However, it seems she need not have worried, for her equally, seemingly, racist counterparts in Iran have also said he will not be allowed to conduct there, according to the Fars news agency, because of his Israeli citizenship. It's difficult, for a rational person, to sometimes imagine that such immature and frankly childish psyches manage entire nations and have access to weapons that could destroy the planet. But this is sadly the reality in which we find ourselves. Of course for how long is debatable, for that old war god, among other things, Wotan lies awaiting in the wings - Valhalla far from burned to the ground. War Gods always await their opportunity to rise. "Like may not rule over like; like has no higher potency than its equal: and as ye all are equal, I will destroy all rulership of one over other." I will destroy the existing order of things, which parts this one mankind into hostile nations, into powerful and weak, privileged and outcast, rich and poor; for it makes unhappy men of all. I will destroy the order of things that turns millions to slaves of a few, and these few to slaves of their own might, own riches. I will destroy this order of things, that cuts enjoyment off from labour, makes labour a load (Last), enjoyment a vice (Laster), makes one man wretched through want, another through overflow. 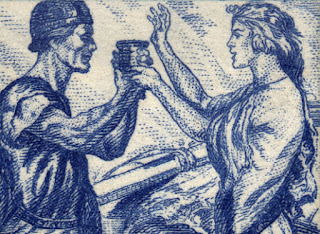 I will destroy this order of things, which wastes man's powers in service of dead matter, which keeps the half of humankind in inactivity or useless toil, binds hundreds of thousands to devote their vigorous youth-in busy idleness as soldiers, placemen, speculators and money-spinners-to the maintenance of these depraved conditions, whilst the other half must shore the whole disgraceful edifice at cost of over-taxing all their strength and sacrificing every taste of life. Down to its memory will I destroy each trace of this mad state of things, compact of violence, lies, care, hypocrisy, want, sorrow, suffering, tears, trickery and crime, with seldom a breath of even impure air to quicken it, and all but never a ray of pure joy. Update (after 3 years!) : The DVD is now also available on Amazon - other retailers we are sure are available. To find on Amazon search for " Syberberg Parsifal"
The now "legendary" Syberberg, long out of circulation, has been made available once again from Filmgalerie 451. Available as either a DVD (24 Euros), as a download (4.90 euros!) or streaming on-demand (2.99 euros). Details below. A Wagnerian on Facebook. 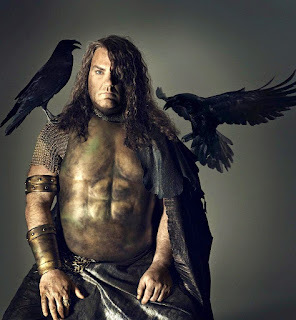 Not Wotan's Ravens but close? Perhaps the best obituary would not be words but images. 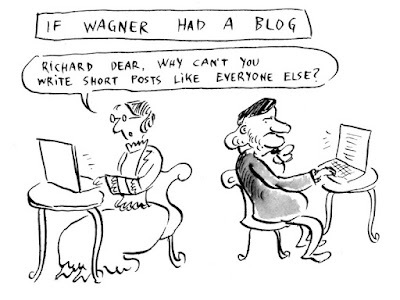 I enjoy the Wagner Journal immensely - after all how could I not. It is always filled with the most interesting articles - the latest issue as much as any others. And it's often full of surprises. However, the July issue (vol.9, no.2) - I am just catching-up, its been a busy few months - has just left me more bemused than normal. "But I will stop there and look into dicks vs phalluses..."
Needless to say I paused momentarily and felt the need to share with my good friends - you dear readers. 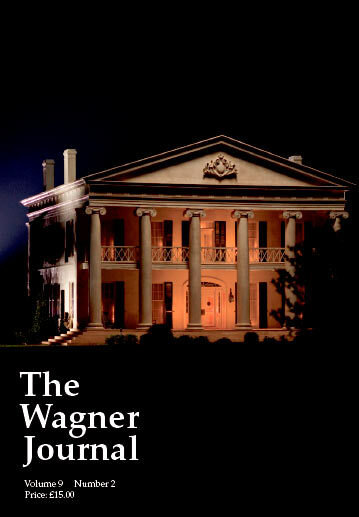 If you would like to know what lead to this investigation I can only recommend you head over the the Wagner Journal by clicking here and get your hands on a copy. Who said that everything has already been said about Wagner? Miri Regev: "Look! I'm telling you! Its True! Elvis is alive. He works in this fish 'an chip shop in Scunthorpe." Rumours are strange things and can quickly grow out of hand. Take the following: Barenboim is to take the Staatskapelle Berlin, along with Chancellor Angela Merkel (exactly what the poor Iranians have done to receive the latter is not precisely defined - again depending on one's source) to Iran in either September, October or some other month. He may also , or instead, be taking an number of other German orchestras - once again depending on who you read. This particular rumour first gained legs over at the always entertaining, recommended but never the most reliable slippedisc.com and from there has grown expedentially. Now, we are not saying it isn't true but only no one of worth has confirmed it. However, that has never stopped a politician from getting excited or making odd statements on facebook (don't these people have advisers?). 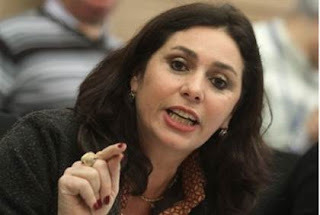 Take Miri Regev, Israel’s culture minister. She is outraged! On Facebook she wrote yesterday, “Daniel Barenboim, a citizen of Israel, will perform in Iran together with the Berlin Philharmonic. Daniel Barenboim’s concert in Iran hurts Israel’s efforts to prevent the nuclear agreement and boosts the delegitimisation (sic) efforts against Israel,” she added. That this is nothing but a rumour seems of no interest to her. That Barenboim holds four citizenships nowadays, Argentine, Israeli, Spanish and Palestinian and lives in Berlin seems to be of equal unimportance. That the Berlin State Opera is on holiday and thus can't say anything, that the Vienna Philharmonic has denied having anything to do with it and that at present Barenboim has nothing to do with the Berlin Philharmonic is all equally of unimportance. But this is not the first time that Ms Regev has made either odd or offensive comments. After all it was Israel's "culture" minister who said all artists where "tight asses". Or perhaps most offensively compared African migrants to Israel as a " cancer in our body,”. That, sickeningly, this echos Hitler's description of the Jews as ""racial tuberculosis" in "German lungs" also seems to escape her. EDIT: It has just been announced that the Berlin State Opera has pulled itself off of the beach to briefly say that it is at least, "...in talks with Iran about a possible concert in Tehran by the Staatskapelle Berlin," German Foreign Minister Frank-Walter Steinmeier has agreed to take over the patronage of the concert, if it goes ahead, as he "supports Daniel Barenboim's dedication to making music accessible to all people, irrespective of national, religious or ethnic boundaries,". It appears then, that Elvis is not working in a "Fish an Chip shop" in Scunthorpe but possibly a takeaway in Small Heath in Birmingham (England) . On her Facebook page, Cheryl Studer has just written the following. We felt it was more than worth bringing to your attention. And perhaps Wagner would have approved of the inclusion of Euryanthe (See here for an overview if you are unfamiliar or perhaps also here). Wikipedia does not describe his genius as an opera conductor. 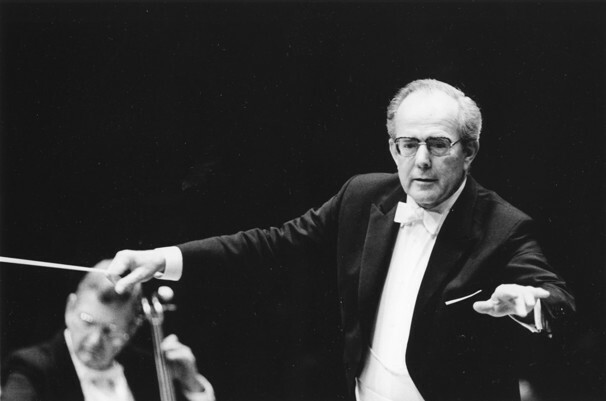 He was THE best conductor I ever had the honor to work with, although I worked with many great conductors! He had a lovely lyric tenor voice and understood the voice. Once, when I was sick and convinced I must cancel a performance of Don Giovanni in Munich, he called me in to work with him a bit. He sang Don Ottavio while accompanying my Donna Anna at the piano. After half an hour, he said: "No problem, you'll be OK. Just keep your eyes on me". I did. He conducted me through the performance, helping me to "save" wherever possible. I got through the performance without having to make an announcement after intermission. Everyone who sang in Munich under Maestro Sawallisch was better there than anywhere else. He was inspiring and uplifting! I miss him." The Holy Grail conjures up images of a romantic and heroic past, of magical journeys and brave knights. What do we really know of its origin and meaning? It has entered the language as a phrase that embodies an infinitely desirable but attainable goal. 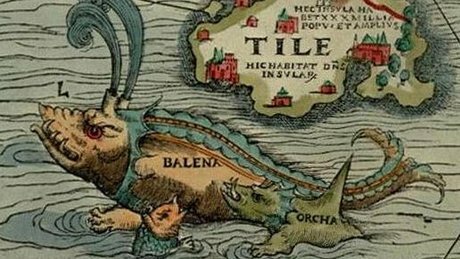 Is there any truth behind this intriguing object, or is it just one of the many myths of the Middle Ages? Is It Possible to Enjoy Wagner & Ignore His Unpleasant Associations? 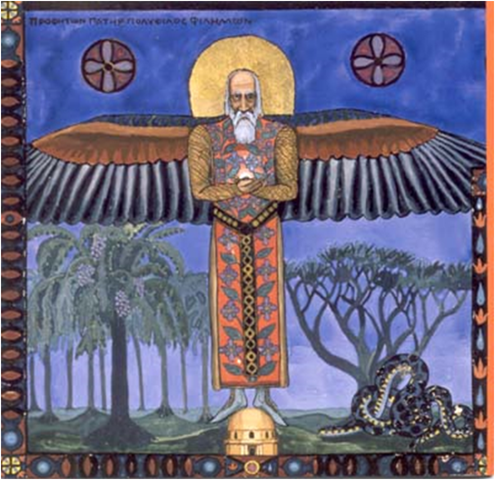 From carl Jung's "Red Book"
Richard Wagner spent 37 years developing and refining his final work, Parsifal, which he would not call an opera but, rather, a ‘Festival Play for the Consecration of the Stage’. 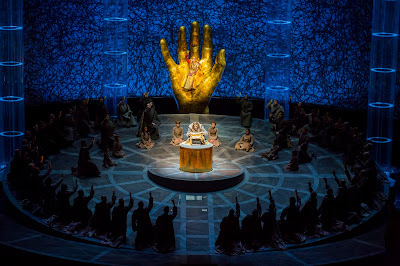 Critical response to Parsifal has historically taken up the work's ambiguous nature as a puzzle to be analyzed and solved, yet treating the opera as a Grail quest for some ultimate meaning reveals more about the seeker than the work and simultaneously errs by distancing the audience from participation in the ritual Wagner orchestrated. 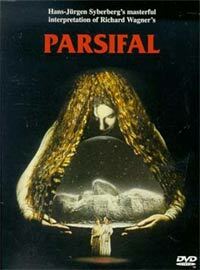 Parsifal is deeply psychological in the most radical sense of the word. A depth psychological approach finds the essential value of the work through a direct encounter with the dynamic symbols of the archetypal unconscious, which emerge through Wagner's images and music. 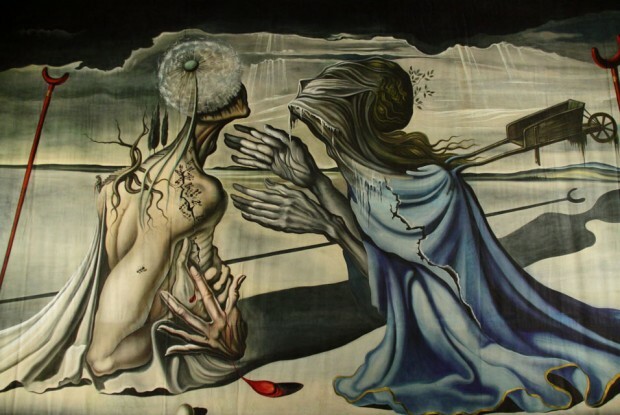 Then, the light of understanding emanates from within the drama, from within the music, and from within the landscape and its characters as complex and dynamic autonomous beings – so that it becomes, in Nietzsche's description of Parsifal, ‘an event of the soul’. 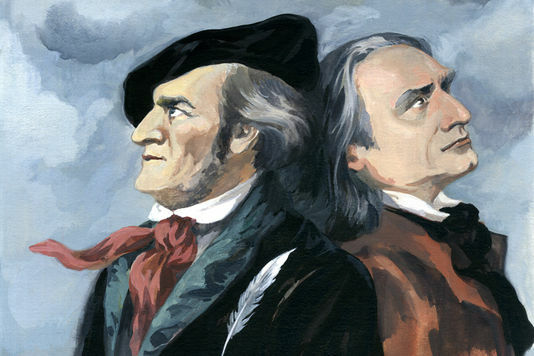 Were Liszt and Wagner as composers and musical thinkers more similar or different? The differences are obvious: Liszt, the piano virtuoso who did not write a single opera in his mature years, was flying in the face of Wagner’s belief in the unification of all the arts in the opera — or better still, the music drama. Yet they were together the leading avant-gardists of the day, two pillars supporting the temple of the New Germans; and not without reason, for their respective prose works reveal some strikingly similar thoughts on art and music. The aim of this paper is to focus into this paradox in order to demonstrate that it is in fact not so much of a paradox: that their differences are deeply rooted in their similarities, and that their creative paths separated as a result of similar thought processes rather than differing ones. Once we begin to look beyond the conspicuous differences, such as their conflicting attitudes towards the concept of drama and their respective choices of genre and subject matter, what becomes apparent is a series of parallels between their separate paths, allowing us to view the two as artists who were working on remarkably close wavelengths. It is a well-known French saying that in every love affair there is one person who adores while the other allows himself to be adored…. Petrarch and Boccaccio, Schiller and Goethe, Byron and Shelley immediately occur to the mind in such a connection; but in none of these is the mutual position of giver and receiver of worshipper and worshipped so distinctly marked as in the case [of Liszt and Wagner] under discussion. “By necessity, everyone is compelled to create his or her own particular Wagner, a Wagner who then becomes an object to become defended or attacked relentlessly. Nicholas Vazsonyi. An in depth analysis of the Tristan chord. A Chicago Symphony Orchestra Beyond the Score Production. Pablo Helguera is a New York-based artist working with sculpture, drawing, photography and performance. You can see more of his work at Artworld Salon and on his own site. Artistic revolutions are rarely born easy. They complained about cubism, they grumbled about the "talkies" — and boy, did they bellyache over Wagner's trailblazing operas, especially Tristan und Isolde, which debuted 150 years ago Wednesday. Alderman Lyda Krewson was there; so were many worried longtime residents of the neighborhood. There were tourists from St. Louis County and beyond -- parents bringing their kids to college.Llots of folks were hanging out in the bars and outdoor cafes drinking up a storm. Gridlock-causing motorists, either just cruisin’ or looking for parking places or glimpses of civil disobedience, were in abundance. Some members of this end-of-the-week congregation had no clue that demonstrators had blocked that intersection Thursday in response to the shooting death of 18-year-old Mansur Ball-Bey by police officers on Wednesday morning in the Fountain Park neighborhood. But other members of the crowd were curious, and some came in anticipation of a rerun of Thursday. Such is our desire to sit in the bleachers to watch the violence. At Union Avenue, I’d seen its final show of the season, Richard Wagner’s epic drama “Götterdämmerung, The Twilight of the Gods.” This is the fourth in Wagner's monumental four-opera cycle, “Der Ring des Nibelungen,” and it was presented in a celebrated shaved-down version created by the British composer Jonathan Dove in 1990. 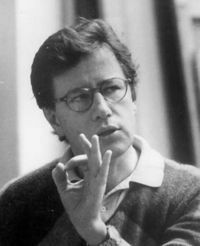 It is "more intimate than heroic," said the British music critic Paul Griffiths, writing in The New York Times in 2000. Over the years, Union Avenue has presented all four of this Ring’s component operas. By taking on this task and the responsibilities attached to it, the company performs not only an operatic but also a civic function of extraordinary importance now. On the stage, the Wagnerian pantheon is eradicated. Out on the street, demonstrations that began a year ago continue in response to continuing shootings and killings of African Americans. Condensed or not, the performance Friday night made connections of art and reality, opera and truth, as evident as they were stunning -- and frightening, too. The point is not to reflect on Union Avenue’s production in any great detail. It was good enough, though it had some obvious problems, such as a lack of balance. 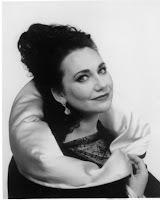 For example, the powerful voices Brünnhilde (Alexandra LoBianco) and Gutrune (Rebecca Wilson) often effortlessly steamrolled over the singing of their male colleagues and even the vocal ensemble. A sampling of the costumes called to mind the Marx Brothers’ “A Night at the Opera,” a distraction in a work of profound seriousness. I never felt the visceral thrills I often have listening to this music and feeling its ecstatic power and its wont to absorb a listener into its mystical quarters. But all that falls into the category of picking of nits. When removed to a universe far beyond yet just next door to the opera house, into a place where conditions demand serious discussion and drastic remediation -- all that is beside the point. What matters is a small company’s commitment to taking on such challenging work. The commitment is entirely commendable, not because it sells tickets or stirs up publicity but because it is right and salutary to do so. Because now, “Götterdämmerung” can teach us a lot about life in times as troubled as any encountered in Wotan’s world, which when observed carefully looks too much like ours for comfort. The operas of the Ring are all, bar none, about chaos, and moral frailty, and about greed and duplicity, and about the fact that inevitably appearances are deceiving, and what seems real and what seems important in fact are not. This is important to understand now when nonsense is presented as truth, and where human lives are sacrificed unnecessarily and when greed beats out making sacrifices for the general good. 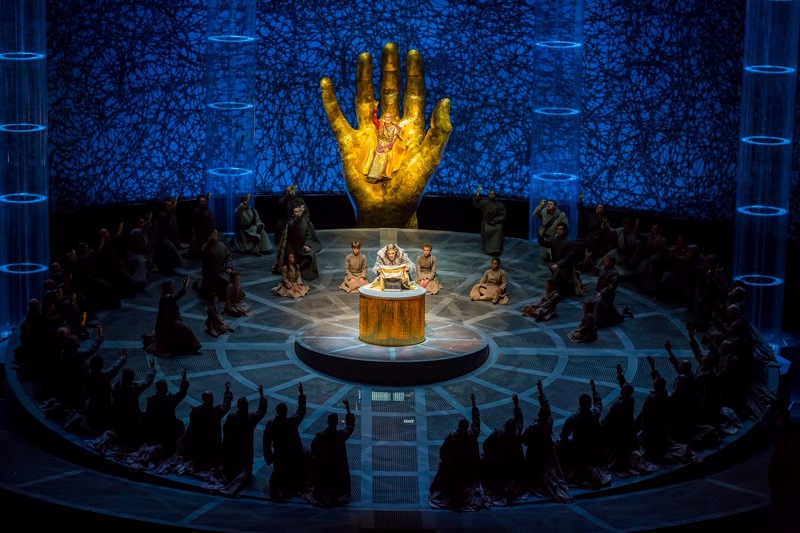 Now especially, these operas of the Ring are important to see and to discuss, because the entire Ring cycle and “Götterdämmerung” in particular reveal in extravagant and some times exaggerated language and byzantine metaphor one simple and apparently intractable fact. That is, the situation of humankind today is a mess, not only in Syria and Iraq but here in St. Louis and St. Louis County as well. While the course is now officially completed it is still possible to enroll and work through the material. We thought that this might be of possible interest to our readers. From the University Of Zurich. Space is a basic category of human thought. Over the last decades it became a very productive scientific category, too. Thinking about spaces, places, locations, or landscapes covers a spectrum of meanings from the concrete and material through to the abstract and metaphorical. In this course we explore various categories of space in the field of Old Norse culture. Together with international guest scholars from different fields we want to find out how mythological, heroic, historical, geographical spaces or landscapes look like in written and oral narratives, but also on picture-stones, runic inscriptions, paintings, woodcarvings and manuscripts. Another promising question could be to ask about the relationship between texts, images and maps and the process of mapping itself. Published: Canadian Undergraduate Journal of Musicology: Vol. 8: Iss. 1, Article 6. This essay explores how the architectural design of the Bayreuth Festspielhaus affects the performance of Wagner’s later operas, specifically Der Ring des Nibelungen. Contrary to Wagner’s theoretical writings, which advocate equality among the various facets of operatic production (Gesamtkuntswerk), I argue that Wagner’s architectural design elevates music above these other art forms. The evidence lies within the unique architecture of the house, which Wagner constructed to realize his operatic vision. An old conception of Wagnerian performance advocated by Cosima Wagner—in interviews and letters—was consciously left by Richard Wagner. However, I juxtapose this with Daniel Barenboim’s modern interpretation, which suggests that Wagner unconsciously, or by a Will beyond himself, created Bayreuth as more than the legacy he passed on. The juxtaposition parallels the revolutionary nature of Wagner’s ideas embedded in Bayreuth’s architecture. To underscore this revolution, I briefly outline Wagner’s philosophical development, specifically the ideas he extracted from the works of Ludwig Feuerbach and Arthur Schopenhauer, further defining the focus of Wagner’s composition and performance of the music. . The analysis thereby challenges the prevailing belief that Wagner intended Bayreuth and Der Ring des Nibelungen, the opera which inspired the house’s inception, to embody Gesamtkunstwerk; instead, these creations internalize the drama, allowing the music to reign supreme. From this research I hope to encourage scholars to critically examine the connections between theatre design, composition and performance so that we may better understand the process by which works are manifested in performance. 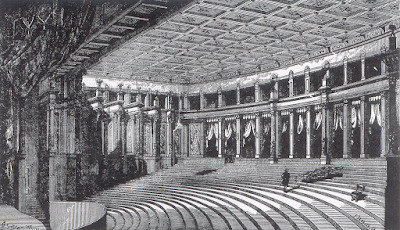 Richard Wagner’s Festspielhaus in Bayreuth, Germany, is distinguished by its unique design, as it was built to realize Wagner’s artistic vision for Der Ring des Nibelungen. 1 This intimate connection between music and architecture—which fulfills one operatic vision but excludes all others—has made Bayreuth one of the world’s most controversial structures. By analyzing the inspirations behind Bayreuth’s construction— specifically Wagner’s opinions, writings, philosophical background, and compositional style—we can expand our understanding of its purpose and potential, thereby eliciting an analysis of Bayreuth that reflects who Wagner was as an artist. 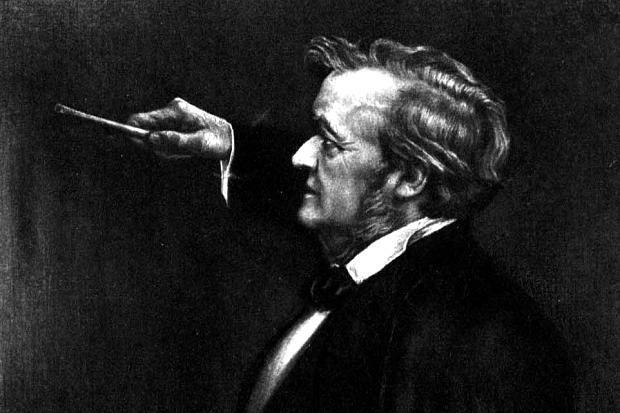 This essay will define Wagner as two contrasting composers: Wagner the Librettist, who believes an opera’s drama— narrative events and emotional tensions—is rooted in the text; and, Wagner the Musician, who expresses drama through music. Through this distinction, we can understand which Wagner constructed Bayreuth and how this effects our interpretation of its function. 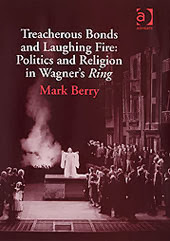 Wagner’s philosophical development, from anarchist to Schopenhauerian, chronologically and creatively parallels the transition from Librettist to Musician in his operas. 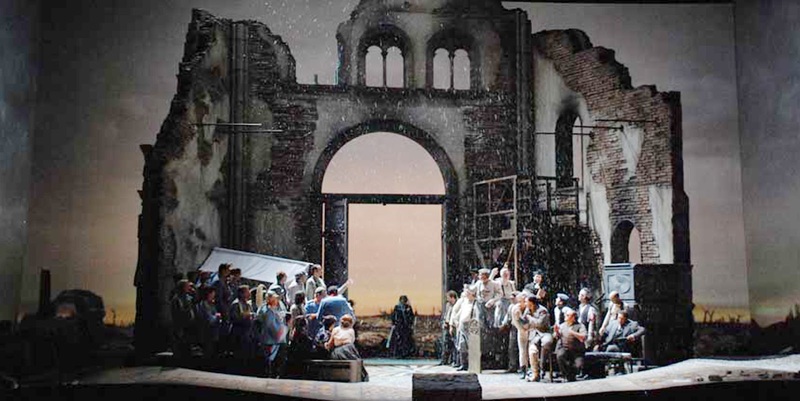 As Bayreuth’s construction also spanned this conversion, it follows that performances at Bayreuth should reflect the influences of this transition; however, since their inception, Wagner’s operas have evaded conclusive interpretations. 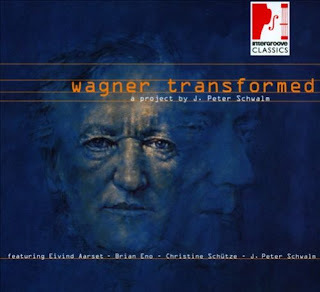 Cosima Wagner’s productions express the ideas of Wagner the Librettist, while Pierre Boulez’s interpretations demonstrate those of Wagner the Musician. Through an analysis of acoustic theory; Wagner’s compositional style and philosophical development; and, the performance history of Der Ring des Nibelungen at Bayreuth, I will demonstrate that Bayreuth’s architecture was originally conceived to fulfill the vision of Wagner the Librettist. However, reflecting Wagner’s aforementioned transition— from anarchist to Schopenhauerian—it ironically elevates the music above the libretto, fulfilling the vision of Wagner the Musician. In his foreword to Adorno's In Search of Wagner ii Slavoj Žižek intimates that Wagner contains a revolutionary potential that has not been spotted or fully brought out yet and that now, "after the exhaustion of the critical-historicist and aestheticist paradigms" (Žižek 2009a: xxvii), is the right, decisive time. Žižek sees the new phase as ideologico-critical, or, better yet, political. While Žižek's determination to enlist even Wagnerian opera in revolutionary struggle is laudable, there are some reasons to suspect the grounds on which his view is based. Žižek's conception of music inherits a tension that characterises his view on the subject, including that of the revolutionary subject, and this tension is, in fact, intensified when it is transposed to the description of music. The underlying question is, can music ever bear the revolutionary role envisaged for it by Žižek? The conception seems to lead to an unhappy choice (correlative to a more general double-bind in the notion of the subject). On one hand, if music is a symbolic form, can it find experiential purchase to move people into revolution? On the other hand, if it is has a direct lifeline to pre-individual experience, can it point towards a revolution that is emancipatory in the Enlightenment sense? 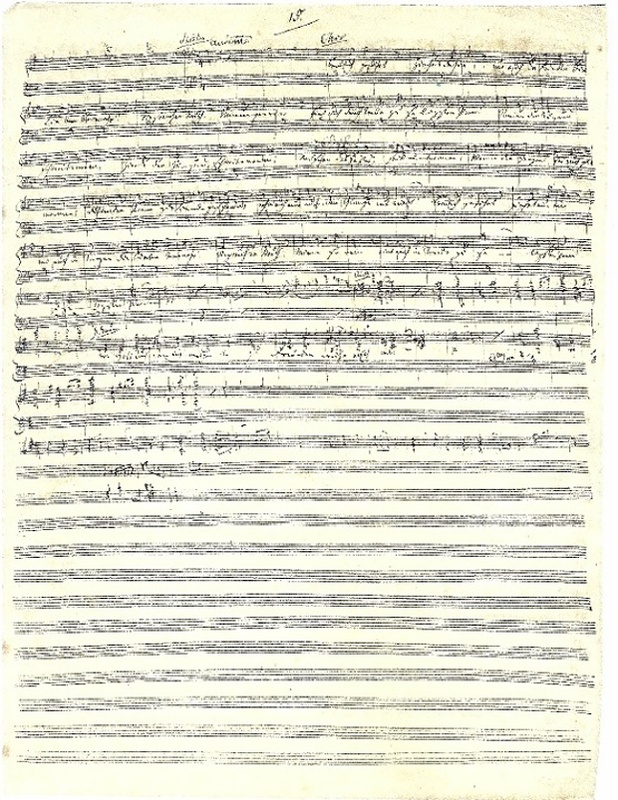 "I recognize now that the characteristic fabric of my music (always of course in the closest association with the poetic design), which my friends regard as so new and so significant, owes its construction above all to the extreme sensitivity which guides me in the direction of mediating and providing an intimate bond between all the different moments of transition that separate the extremes of mood. 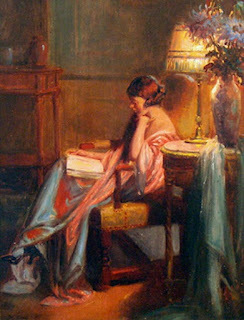 I should now like to call my most delicate and profound art the art of transition, for the whole fabric of my art is made up of such transitions: all that is abrupt and sudden is now repugnant to me; it is often unavoidable and necessary, but even then it may not occur unless the mood has been clearly prepared in advance, so that the suddenness of the transition appears to come as a matter of course. My greatest masterpiece in the art of the most delicate and gradual transition is without doubt the great scene in the second act of Tristan und Isolde. The opening of this scene presents a life overflowing with all the most violent emotions,–its ending the most solemn and heartfelt longing for death. These are the pillars: and now you see, child, how I have joined these pillars together, and how the one of them leads over into the other. This, after all, is the secret of my musical form, which, in its unity and clarity over an expanse that encompasses every detail, I may be bold enough to claim has never before been dreamt of." 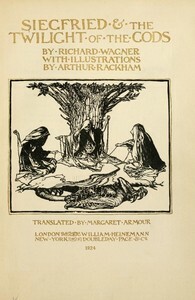 Margaret Armour's "plain prose" translation of The Ring of the Nibelung, illustrated by Arthur Rackham. Available in two volumes. You can either read online or select the ebook type of your choice below. 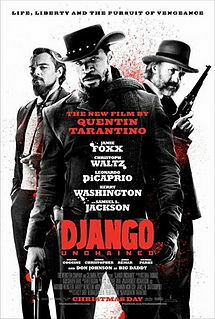 Upon its release in 2013 our editor, in another guise, released a review/come semi-analysis of Tarantino's Django Unchained. In this, was seen what were considered clear similarities between the movie, Wagner's work (especially the Ring) and the Nietzschean Übermensch This was titled "Django Unchained: Nietzsche's Siegfried Not Wagner's? Later, Adrian Daub (if you haven't you really should read his "Tristan's Shadow: Sexuality and the Total Work of Art after Wagner. The Kindle version is now available for only a few pound and is more than worth your consideration)" and Elisabeth Bronfen produced a very different analysis of the same movie. This is titled "Broomhilda unchained: Tarantino’s Wagner. Originally published in Jump Cut and now the Wagner Journal. What is striking is how different people with Wagnerian interests can interpret a movie so differently. With that in mind we reproduce both items below. Our editor does ask however, that you take into account the first piece was written for a very different audience and that you will forgive its more "relaxed" tone. 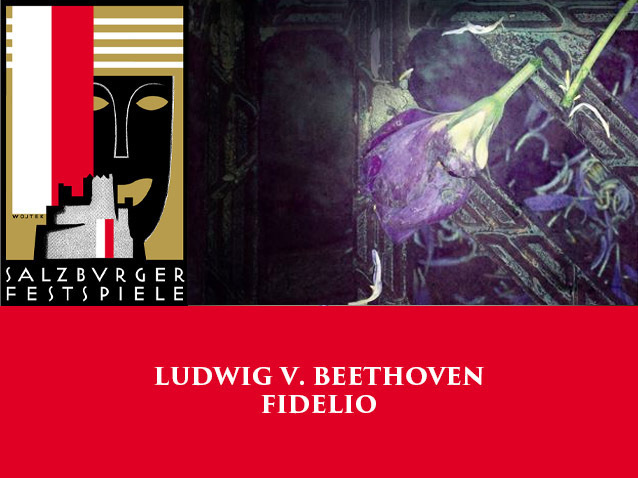 The Salzburg Festival presents Ludwig van Beethoven's one and only opera, his masterpiece:Fidelio, in a new production staged by Claus Guth, conducted by Franz Welser-Möst and starring Jonas Kaufmann as Florestan. 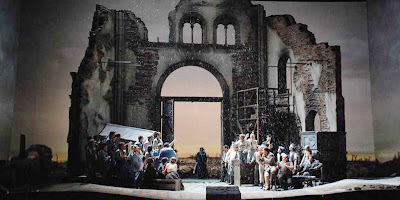 The casting is remarkable in this beautiful new production by the Salzburg Festival. Adrianne Pieczonka embodies the faithful Leonore and Jonas Kaufmann, more tragic than ever, lends his voice to Florestan. The Wiener Philharmoniker and the Konzertvereinigung Wiener Staatsopernchor join them in this sure-to-be remarkable performance. 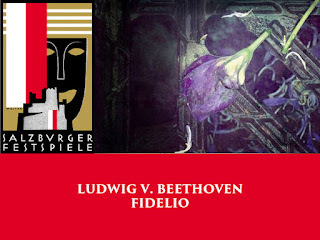 Fidelio: Beethoven – Claus Guth, Franz Welser­-Möst – Salzburg Festival – With Jonas Kaufmann on medici.tv. Found on youtube, From The BBC in 1997. There have been far, far worse documentaries about Wagner. Do yourself a favour, This, if you hunt around, can still be found on DVD for very little cost, Indeed this and the accompanying Beethoven documentary from the same series can be found together on Amazon (see here). One is sure other retailers are available. "How much Wagner can I listen to? 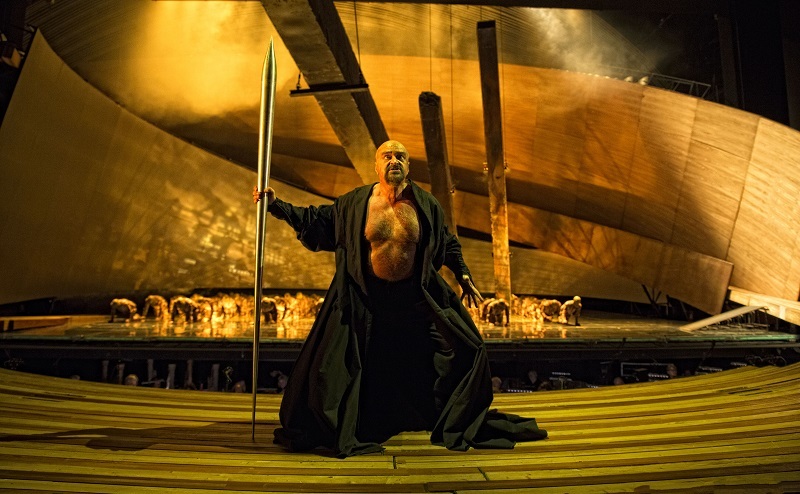 About this much ,mate"
In response, he was asked if in 100 years from now will people still be able to sit through all 16 hours of the Ring cycle. So, we must assume that he often listens and attends performances of the Ring? Especially given his advice to the average concert goer? He laughs. “I don’t have time in my schedule to sit through a complete Ring cycle" He did, however, note that "...but I can conduct one"
A strange response perhaps and oddly in contrast to Christian Thielemann (a world renowned Wagnerian conductor) who noted in his recent book the importance of listening to many different conductors interpretations of Wagner. Act one only so far, but according to the ever reliable Alex Ross, the rest is on its way. When it is we shall update accordingly.